It is already in the 90's in Texas, which has sent me into fresh vegetable overdrive. I wouldn't say I am the best cook, but I am pretty creative and good at making salads! 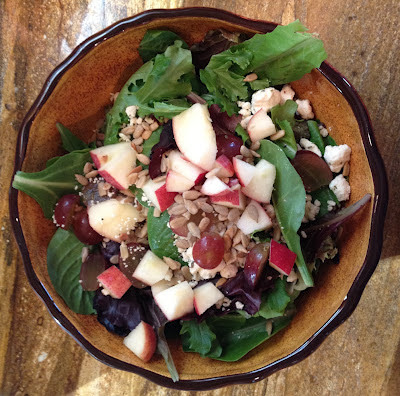 One of my favorite salads is the Nutty Mixed Up Salad at Jason's Deli, and this is my home-made alternative. I am obsessed with it right now, so I thought I would share! With this dressing, a little goes a long way. Let me know if you try it out!